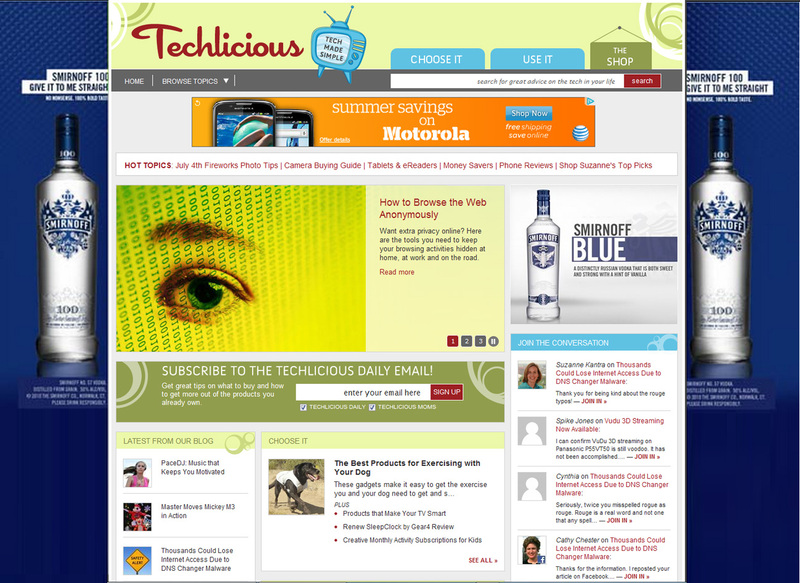 Techlicious focuses on the intersection of lifestyle and tech. Our audience is consumers who use technology in their everyday lives and are looking for straightforward, trustworthy advice on what to buy and how to use their products better. Articles syndicated to MSNBC, Pop Sugar, Shape, Time, USA Today and many other leading media outlets. We provide a number of sponsorship opportunities to get your brand in front of consumers and influencers. Whether you're looking for a simple sponsored post or a multi-faceted blogger ambassador program, we'll custom tailor a solution to meet your campaign objectives and budget. Advertising: Our site skin produces exceptional engagement, with click-through-rates 10x higher than standard display ads. IAB units and full roadblocks also available. 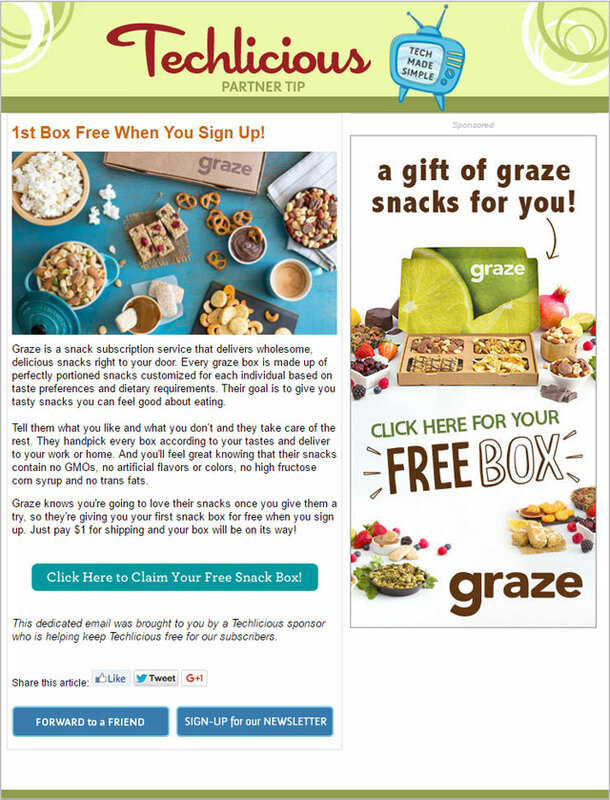 Sponsored content: Sponsored articles and dedicated emails get your product or brand highly profiled in front of Techlicious readers. We work closely with you to determine the best format, theme and delivery to support your campaign objectives. Editorial Guide Sponsorship: Sponsored product inclusion in one of our popular editorial guides posted on Techlicious.com. 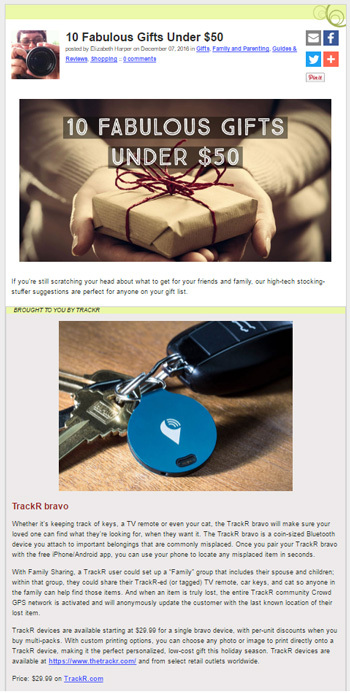 Guide promoted through Techlicious social channels and 80k+ Techlicious newsletter subscribers. Social media promotions: Techlicious works with dozens of leading influencers to deliver massive impressions of your product messaging through our Twitter parties and other social media promotions. Techlicious Influencer Events: Our events are NOT another table-top event! We focus on leading influencers in cities that are outside the typical PR/marketing circuit. Our events are specifically designed to inform and educate, with your messaging is organically woven into the entire event flow. Looking for a custom event? No problem, we can put together the perfect experience for your brand to engage with leading influencers or consumers. Custom videos: We create fun, lifestyle videos showcasing your product for a fraction of the production cost . Videos are highlighted on Techlicious, through our YouTube channel and can be used directly by your company for marketing purposes. Talent/Guest host: Techlicious Founder and Editor-in-Chief Suzanne Kantra is a consumer tech expert who knows how to make tech simple. She has been featured hundreds of times on TV and radio, including CNN, CBS, NBC, Rachel Ray, Martha Stewart and many more. Suzanne is available for video production, event hosting. and as a featured lifestyle technology expert. Syndicated video package solutions and Satellite Media Tours: Bringing together the deep editorial expertise of Techlicious with our media partners' extensive broadcast production and web distribution capabilities, we create highly engaging stories about your brand/product and get that story in front of millions of TV, web and social media consumers.